Among other benefits, decorative stone helps structure and landscape your garden for a professional looking finish. 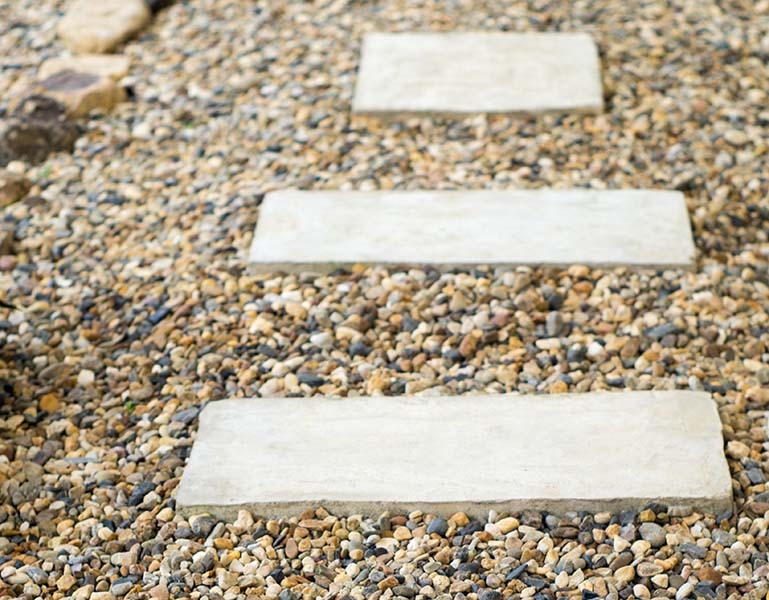 This guide will help you choose the right stone to suit your needs; whether it’s for weed control, drainage, a driveway or style. Decorative stone - also known as gravel or bagged rock - can fulfil a number of different roles in your garden. We’ve broken down the different varieties of stone by the tasks they’re most suitable to in this handy guide. Depending on your requirement we recommend different types of decorative stone for your garden. Beach or river pebbles are smooth rounded rocks; similar to pea gravel but a lot larger. They are commonly used for decorative appeal and are ideal for use around plants. They usually come in various shades of grey and tan. The other uses of pebbles include creating rock gardens, covering landscape fabric and preventing weeds, and keeping moisture in the soil. Boulders and rocks are simply large stones that can be used as features and focal points in the garden. They are also ideal for building rock gardens, walls and pond walls. Pea gravel consists of small (pea-sized), rounded rocks; however, it is available in various sizes. It is an attractive decorative stone, ideal for drainage in flower beds and pots. It typically comes in a range of colours such as tan, and white. Its rounded shape means it moves easily and may not be suitable for supporting garden furniture, which is why we would not recommend it for use on driveways, patios or paths. It can be used to accent stepping stones and paving, and is best used in these applications along with an edging material. 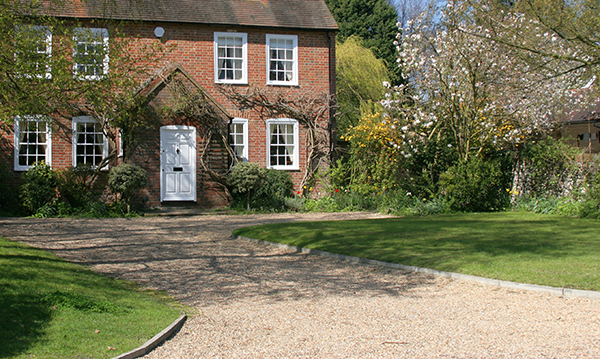 Beach or river pebbles (see above “You Need Style”), and crushed gravel (see below “You Need a Driveway, Path or Patio”) are also suitable choices for drainage. Slate chips, also known as shale, are pieces of broken slate that are an excellent alternative to bark mulch in the battle against weeds. Slate chips help keep unwanted weeds down and moisture in the ground. They come in various shades of red, grey and blue. Crushed gravel has a rough texture and is made up of irregular pieces of rock that have been smashed in a crusher. Crushed gravel comes in a wide variety of sizes and colours. The stones tend to fit and meld together tightly for a durable surface that won’t move under foot. Decomposed granite is like gravel but finer and more stable. It is most commonly used for paths, driveways, and as a base beneath flagstones. It can stick to shoes and will scratch floors, so make sure not to use it too close to the house and to use an outdoor and an indoor door mat. Decomposed granite gives a natural, rustic look and is available in shades of grey, tan and brown. If you need your stone delivered, factor in the cost (if any) to your budget. Buying a larger pack will usually mean greater value than several smaller bags. Avoid weed infestation by laying landscape fabric under the stone. If adding decorative stone to a steep hill, choose a heavier stone that is not too rounded in shape, so it is less likely to gradually roll away. If you are looking for further buying advice or price guides to decorative stone for your garden in your area visit your local decorative stone supplier.